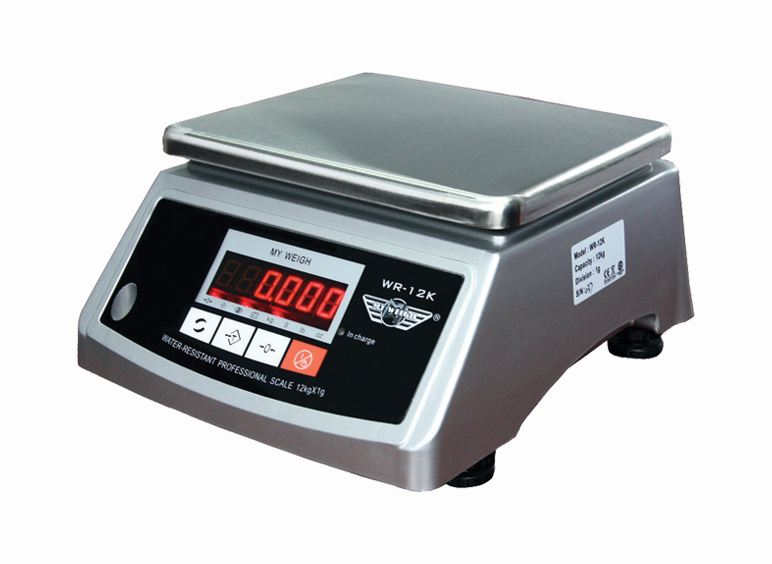 The My Weigh WR12K is a water resistant, very high-capacity bench scale with a dual LED display and a rechargeable battery. The entire housing of the WR12K is IP 66 certified water resistant, so the scale will stay protected from outside elements. The WR12K also has a large stainless steel body / bench tray, a high-precision counting feature and a dual (front & back) backlit LED display.